Payson, Arizona is a town of 15,000 people that is located in the middle of nowhere. 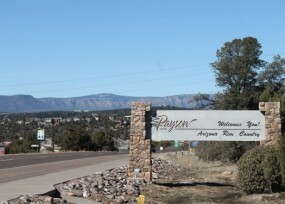 Payson is 11 Miles East of the Geographic Center of Arizona! Payson Arizona was settled in the late 1800’s by Ranchers and Miners. These men and women recognized the wealth of natural resources located in this area. Gold and Silver ore as well as Ponderosa Pines, freshwater streams and knee high grasslands covered the area. Native Americans had lived in the area for over two thousand years so the Ranchers and Miners were really not the first inhabitants to recognize the attributes of this area. The Payson area drains into two major watersheds. To the West of Payson, runoff water flows via American Gulch which runs through the middle of Town until it runs into the East Verde River, the East Verde runs into the Verde River. The Verde River pausing briefly in Horseshoe and Bartlett reservoirs eventually runs into the Salt River. To the East of Payson, Tonto Creek runs South into Roosevelt Lake (confluencing somewhere under the lake with the Salt River), Apache Lake, Canyon Lake, and Saguaro Lake. These lakes were developed to supply Phoenix residents and the desert agriculture that was so important to the economic well being after the turn of the 20th century. These lakes were eventually canalized and cannibalized so much so that the Salt River that flows out of Saguaro Lake is turned on like a tap depending on when the crops need water. The Salt (when it flows) meets the Gila River (also dammed at San Carlos) which in both instances are dry unless the Dams upstream have been opened wherein they flow. The Gila River painstakingly moves waterless through the Arizona desert until it runs into the Mighty Colorado somewhere above Yuma. Of course the Mighty Colorado is a mere fraction of what it once was. The book Cadillac Desert by Marc Reisner describes in detail how water from the Colorado has been allocated over the years. This book written in 1986 is the bible about water use for many Hydrologists and punctuated the potential water problems that may/will occur in the future. The movie Chinatown released in 1974 and directed by Roman Polanski portrays what lengths men went to, to secure irrigation waters for Southern California. The history is long and brutal. Did this water make the metropolitan areas in Southern California and Arizona? Of course it did! Few of us would be here in the Southwest without it. Colorado River! How many more people can this River support? The Colorado dries up to a trickle most of the year below Yuma so Mexico hardly gets a drop! Such is the story of water in the west. Payson’s American Gulch used to run yearlong! American Gulch is not a perennial stream any more either. It is primarily a floodway that flows only during large precipitation events. The water table has always been high in American Gulch. The meadow soils along the drainage are wet a mere foot or two deep most of the year. Other than American Gulch there were a few springs in the area to provide water to the first settlers. The Payson Water Company started in the 1955 when a local rancher named Raymond Cline drilled a few wells and tied them together with pipelines to area residents. The Payson Water Company was formed and changed hands in 1965 to United Utilities. In 1980 it was transferred to the Town of Payson and is still a municipal utility. The Town expanded and drilled numerous wells and upgraded pipeline systems over time. 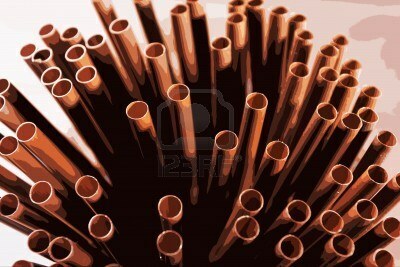 I have often heard the analogy that our town sits in a little basin that is like a cup of water with many straws in it. How Many Straws can an Aquifer support? All it took was one pump to break down one summer day 12 years ago and there was no water for a day for several neighborhoods in town. This created a furor of “no growth” sentiments that has had a negative influence on Payson for many years! So what do you do to provide a permanent water source for your citizens as the Population increases? Import water from somewhere else! Payson Locks In Reservoir Water Rights! Crowded council agenda includes the transfer from SRP of rights to 3,000 acre feet from Blue Ridge Reservoir. Per Buzz Walker, longtime Payson Public Works director, the newly acquired water rights have taken over 40 years of negotiations to acquire. Now that’s persistence! 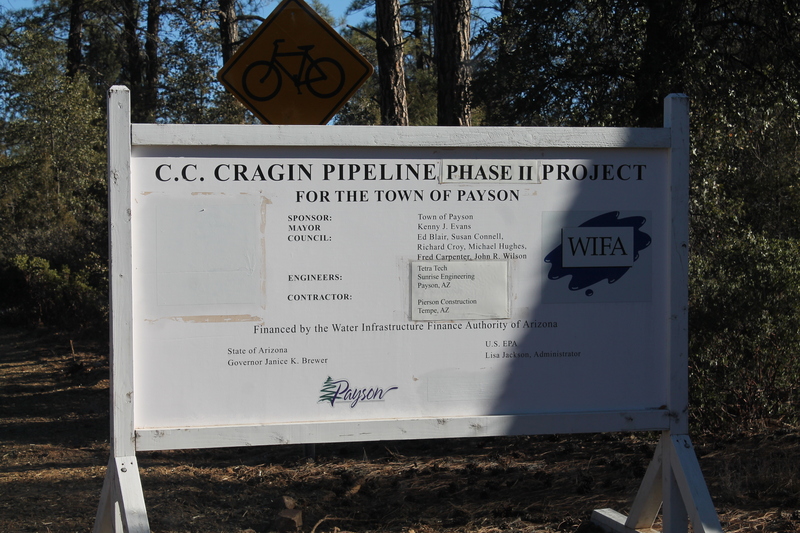 In 2008 the estimate to construct the pipeline to get the water 15 miles through Forest lands into Payson was 30 million dollars! First, Payson put in a water claim in 1995 to water in the Little Colorado River basin. Without this initial claim, nothing would have happened. The water in this basin had been disputed for decades. 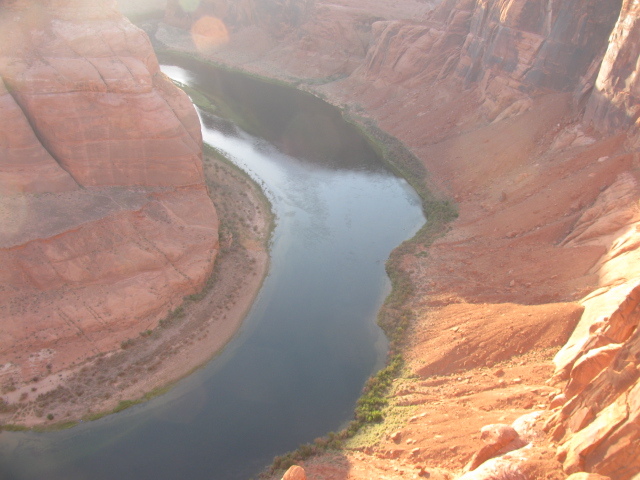 Secondly, the passing of the Arizona Water Settlement Act in 2004. This act allowed the adjudication of Federal CAP water. These two actions were instrumental to get water secured so that Payson and surrounding Rim Country communities could have access to CAP waters. Thirdly, Phelps Dodge sold their interest in Blue Ridge Reservoir to the Salt River Project. This allowed SRP to allocate portions of the water to those interests who had made legitimate claims. Fourthly, the Town of Payson sponsored changing the management authority from the Department of Agriculture (Forest Service) to the Department of Interior (Bureau of Reclamation) so that water transmission subsidies could be acquired that would help pay for the project. See the act below. This occurred in 2011. The final agreements between SRP, Bureau of Reclamation and the Town of Payson has resulted in the ability of Payson to get 27% of the stored water behind the newly named CC Cragin Reservoir. In return Payson is responsible for 27% of the expenses for maintenance and minor improvements to the facilites that pump water (Minus the Dam which is now the responsibility of the BOR.) The annual expenses per Buzz Walker should be in the $100-150,000 range. Cheap when compared to the development costs of 52 Million and the fact that this water will be available for Rim Country use from now on! **Disclaimer** This information is based on discussions with Buzz Walker and local knowledge. This process has been extremely complex and I am sure to have missed some important points! Currently the first phases of pipelines have been started. The upgraded system in town has been built. The Phase II pipeline has been completed from Mesa Del Caballo into town and the next steps involve the construction of the main pipeline and the filtration system. The Pipeline is Under Construction! The ASU School of Sustainability has developed a 17 minute video on the History of Water in Arizona that is extremely interesting and well worth the watch. See the link below for the video! 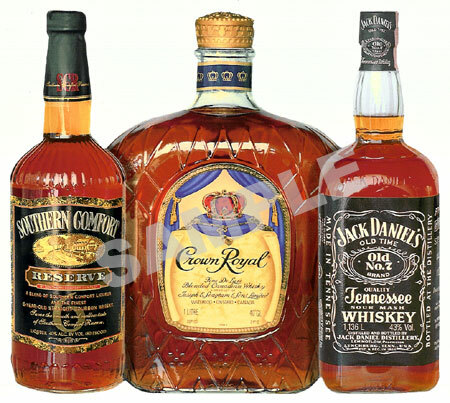 Whiskeys for drinking, Waters for Fighting! . Maybe Whiskey can have water added now! Lets hope the long fight to find water is over! This entry was posted in Town of Payson, Water Conservation, Working Together and tagged Community, Drought, Payson, Water Conservation, Water Development in the Southwest. Bookmark the permalink. 2 Responses to What it takes to get a 100 Year Water Supply (One Towns Journey)! Very well done article my friend. I spent many years as a water resources engineer for ND and AZ and for SRP and found your information spot on. One more tid bit of history to add. When Central Arizona Project was being allocated, the Town of Payson declined to apply. Don’t know if that was a good or a bad idea, however, it would have cost a lot for the Town to retain that allocation while on the other hand it should have been valuable to sell or trade. Dave, I believe the Town had a CAP allocation. They figured they would never get the water to Payson so sold it to the Town of Scottsdale and used that money along with some grant monies to construct Green Valley Park and Lake. The lake was to be used to store effluent waters that would recharge the American Gulch aquifer…I sometimes find it hard to remember what went on 30 years ago!